How do create additional unit labels? 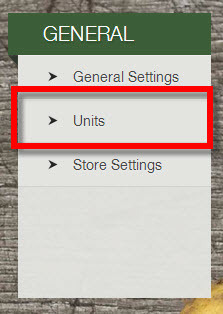 To edit Units, click on the Settings Icon in the sidebar menu. Then click on the Units under the General section. From the Units page, you can add new units to be used for shares, options, and items. ﻿Subscription units on the left can be used for shares and options. Item units on the right can be used for webstore items or box builder items. To add a new unit click +Add from the head for Subscription Units or Item Units. Enter the name of the unit you would like to add, click Add, and save changes. Then you can set the unit within the share/option/item page. This is what it looks like from a member's point of view.